Your products and equipment are the backbone of your company’s success. From transported goods and hauled equipment to storage items and even construction tools, it’s important to keep your investments protected. With Inland Marine coverage, you can avoid damage sustained due to accidents, theft, vandalism, or total loss. No matter what type of business you own, an accident can happen at any time. That’s why having an Inland Marine policy from King Insurance is essential to providing your business with the appropriate coverage during transit. The policy generally covers equipment used during transit, including contractor equipment and forklifts, for example. It also provides protection for listed cargo in motion in a motorized vehicle. Since Inland Marine covers items outside of your standard Business Property Insurance policy, having additional coverage to keep your equipment insured off-site is critical. This coverage can also extend to protect your business’s goods or equipment when transported by ocean and air, also known as Ocean Marine coverage. Conversely, Inland Marine commercial insurance coverage also protects the property of another company that may temporarily be in the care or possession of your business. This type of coverage is known as bailee’s customer coverage and safeguards customer property, such as a vehicle left overnight at a repair shop. Contact an Inland Marine Insurance specialist at King Insurance today to find out how your business can insure its most valuable assets for off-site work and travel. Is at risk for property damage and/or loss during transit. 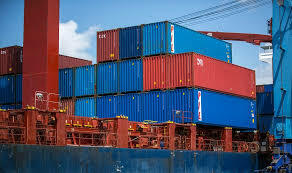 Any type of business in a specific industry may have a need for inland marine insurance at one time or another, but fine arts and museums, construction, technology, and transportation are four industries that require continual coverage from the start of operation. Protecting the fine art installations and museum exhibits with inland marine insurance coverage is integral for allowing guests and visitors to enjoy rare and historical items. This type of insurance provides peace-of-mind in the event an accident occurs, whether it involves a displayed item or an accident with a guest or visitor. Contact a King Insurance agent today to discuss how inland marine insurance can benefit a collection, gallery, or museum. Most construction businesses work off-site and move equipment and tools between worksites. Inland marine business insurance policies provide coverage for a number of construction-related areas, such as builders risk, contractors equipment, cranes and riggers, and installation. Transportation can cover physical transportation of cargo and goods for distributors, manufacturers, retailers, and wholesalers, along with freight brokers and motor carriers. Because these companies can vary in scope, King Insurance, a commercial insurance company, can customize an inland marine policy to fit the needs and risks of your transportation business. Contact us today to learn more. Technology companies use a variety of specialty equipment every day to conduct business. Inland marine coverage protects electronic equipment — a hallmark of any technology-based company — and installation of the equipment. It also protects equipment transported and used by contractors of a technology company.